"Every literary traveler has an habitual practice. [Norman] Douglas's is climbing up to an eminence whose height allows him to see something inaccessible to ground-dwellers." Stockholm's geology provides many interesting prospects. My copy of Hallweg's 1:15,000 map of the city shows five viewpoints, although this icon is not actually defined on the map's key. Three of these are located along the Northern edge of the island of Sodermalm, and two on Djurgården. Two of the five are buildings of a kind, the Katerinahissen and the Bredablick (a tower in Skansen: the name is literally 'broad-look' or view), and two are along the steep cliffs of the island. The fifth is in the Tivoli Gröna Lund, Although this amusement park was closed when I visited Djurgården to look for it, the viewpoint here can only be one (or more) of the rides. Three of the postcards recently drawn were from the viewpoints on Sodermalm. The Kaknästornet, as described in my post 'Panoramania', is not defined by such a symbol. 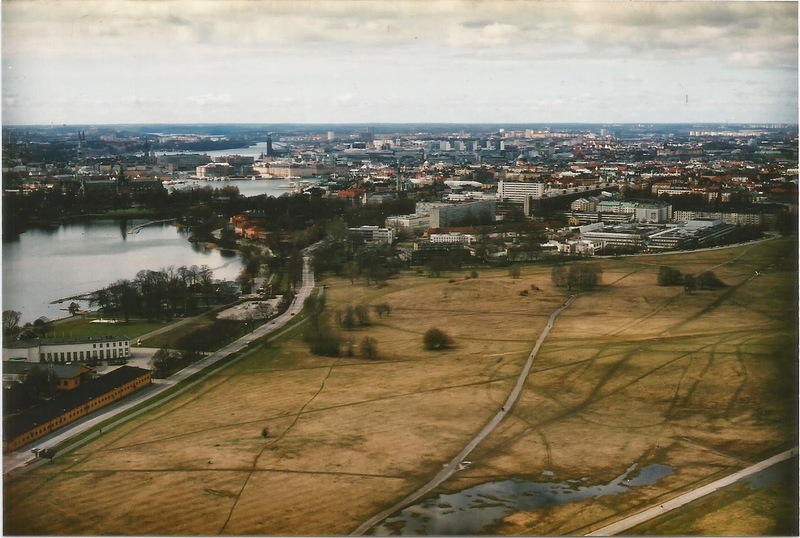 The designation viewpoint is a value judgment by the cartographers, a reminder that maps are not a neutral display of geographic facts; that the Kaknästornet is not included makes it clear that there are of course other places in the city that the traveller may find panoramic views. The Kaknästornet is at a relative distance from much of the interest in central Stockholm that the other viewpoints provide, although its height and 360-degree views make it worth the entrance fee. Having scrutinised the map of Stockholm, there are no viewpoints marked on Hallweg's similar map of Copenhagen. Copenhagen's geography is very different from Stockholm, but, as some viewpoints in the Stockholm map are not natural features (or at least are viewpoints from natural rises in the land significantly augmented by structures), it does feel anomalous that there are no similar designations in Copenhagen. 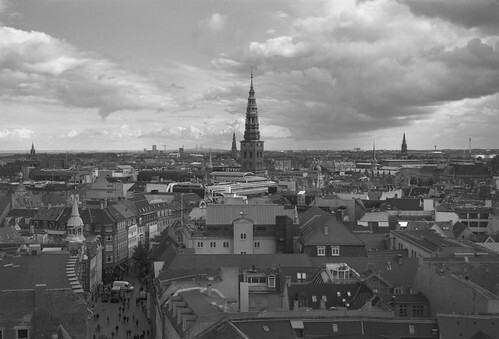 The obvious candidates to be included would be some of the church spires that can be climbed, and the Rundetårn or 'Round Tower' in the centre of the city. In the post 'Panoramania', I wrote about telecommunications towers in different cities as a symbol of technological progress and civic pride, many of which (although not all) members of the public can visit. Towers of different kinds had symbolic and other values in pre-modern cities, mostly being either religious in function or fortifications. The Round Tower in Copenhagen originally functioned as an observatory, as well as being attached to a church and university library; it is also open on a Monday, unlike many other attractions, a day that I was in Copenhagen on the route to St Petersburg. From the top of the tower it is possible on a clear day to see the route we would take the following day, across the Øresund Bridge to the indistinct shore of Sweden.